Who or what made you want to become an illustrator? 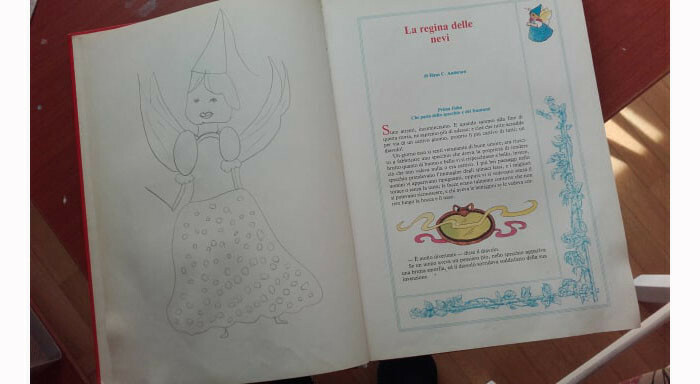 When i was attending art school, a teacher took us to an exhibition of illustration, in Treviso (Italy). I do not know, I fell in love: the illustration has chosen me! Even today, i think it's a great privilege to touch the heart and imagination of people with an image! I decided to become an illustrator because i like communicating with others: drawing and writing stories are the most congenial means. I love drawing: drawing allows me to reach many people, it's beautiful! I studied painting in the art school of my city, Padova. 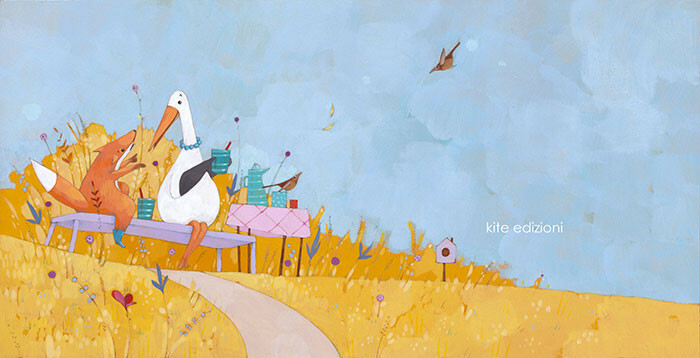 Subsequently, I attended various illustration workshop with established professionals. 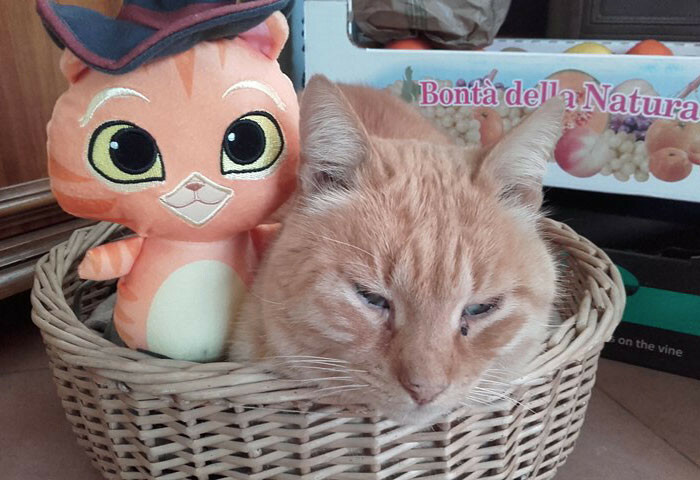 I grew up in the countryside with my cats. 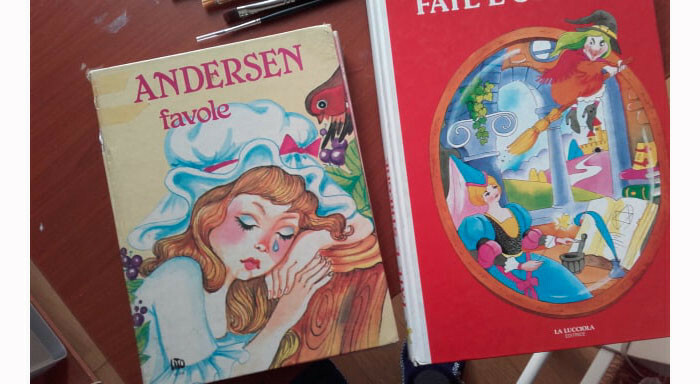 I think of a book with fairy tales of H. C. Andersen: it was an unexpected gift and i loved the illustrations, mostly Thumbelina. I remember it with great affection, it was my first step. It's the story of two friends who combine their skills to build something together. 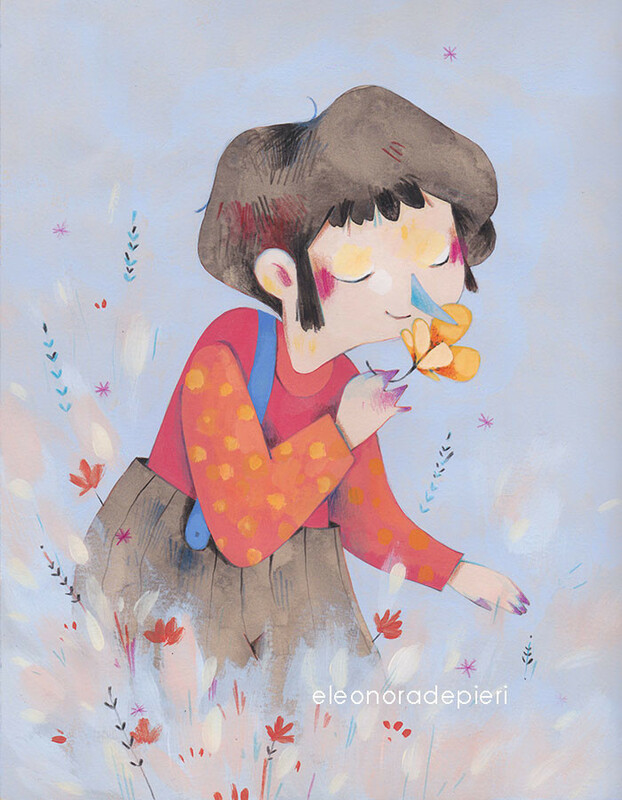 I use acrylic painting and colored pencils: i love how the brush slips on the paper. But i use also Photoshop: with some pictorial brushes, it seems to work by hand! What piece of software or hardware could you not live without and why? 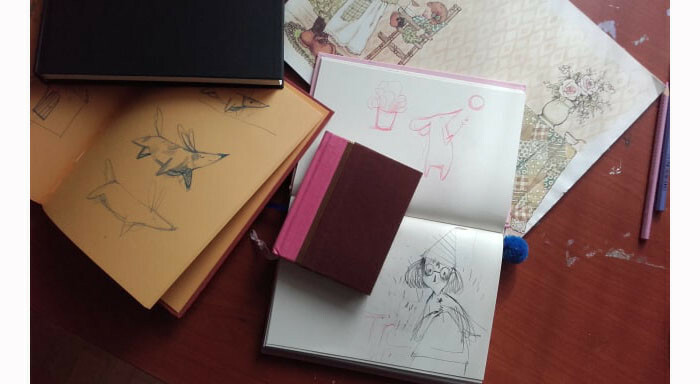 Do you keep a sketch book? 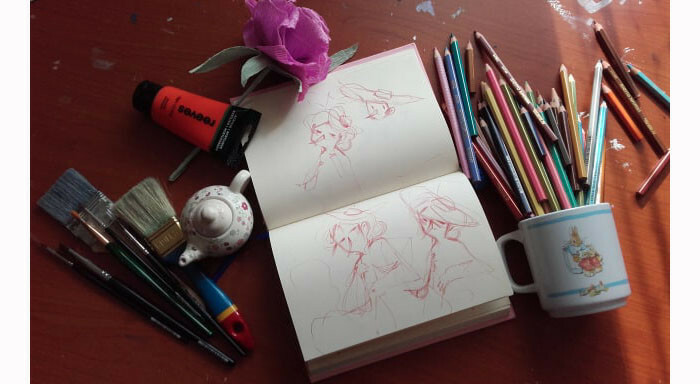 I keep a lot of sketc book: small or big, to draw at home or on the road. How many times do you tend to draw a character until you are happy with it? Many times!!! The character is so important! Especially if it is the protagonist of a story written by me: i'm demanding. I wish they would open their hearts to magic, they must have confidence in themselves and believe that nothing is impossible. Which 4 words would you use to describe your illustration portfolio? Poetic, sweet, full of color, surreal. I'm working hard to give life to my stories: i have many ideas, writing allows me to express myself to the maximum. 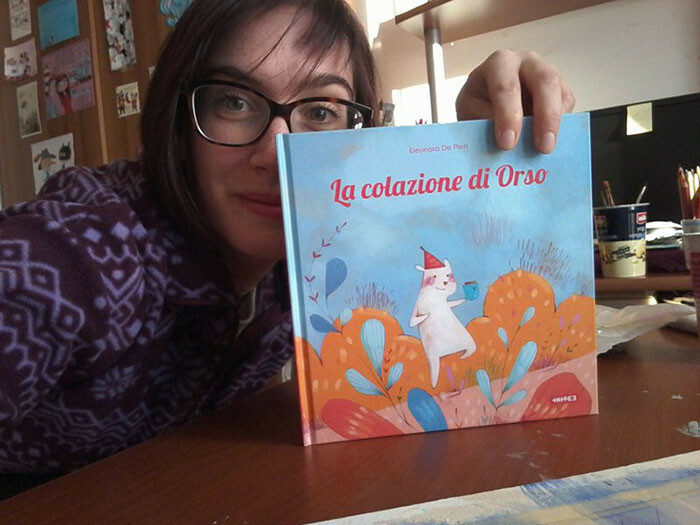 My first book as a writer is published by Kite edizioni (Italy): i'm very proud! The title is "La colazione di Orso" (The Bear's breakfast). It's thrilling and i'm already working on the second one. What are some of your favourite subjects to draw? Thumbelina, Mary Poppins, Alice in Wonderland and The secret garden!